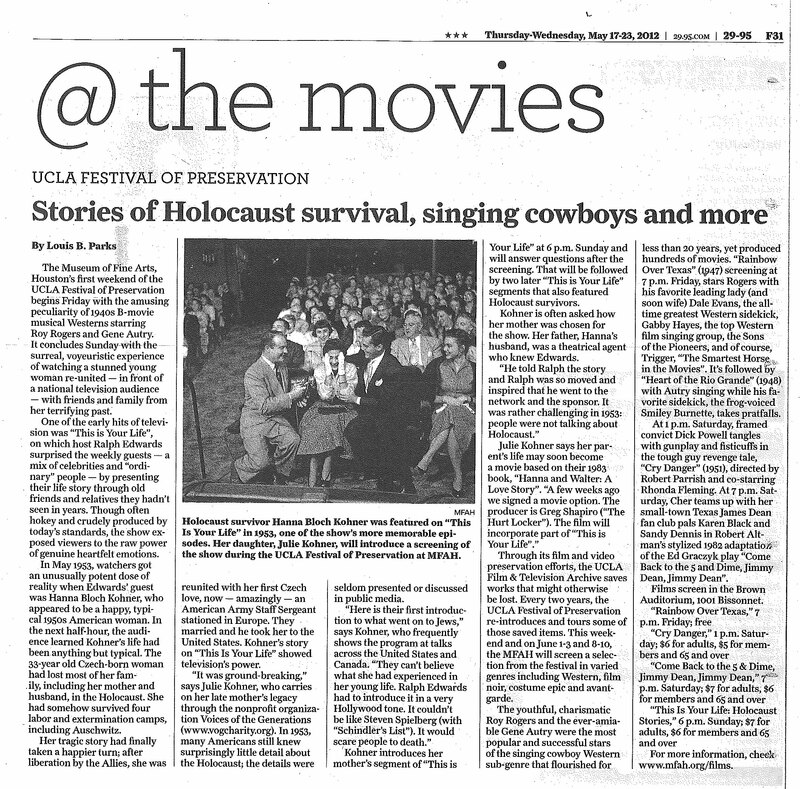 The May 17 2012 Houston Chronicle is featuring an article about the upcoming presentation of the UCLA Festival of Preservation programs, This Is Your Life, at the Houston Museum of Fine Arts on Sunday, May 20. The article also mentions Julie Kohner and Voices of the Generations, since Julie will be the featured speaker on Sunday evening at the museum during the presentation of the Holocaust episodes of This Is Your Life. Visit the museum web site at http://www.mfah.org/films/this-is-your-life/.